USG UWE STÜCKE GRANULIERTECHNIK GMBH, Granuliavimo (plastmasių) mašinos, Underwater granulator systems, Granulators for the plastics industry, EUROPAGES. 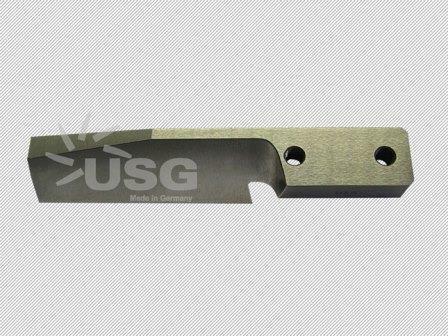 USG GmbH produces pelletizer knives and pelletizing die plates for a wide variety of plastics and under-water pelletizers. 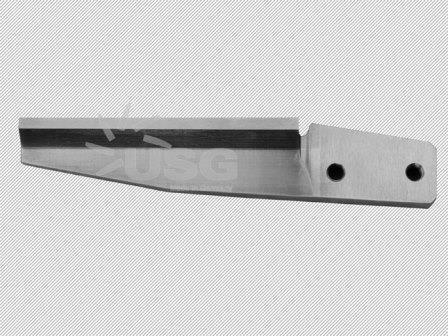 For our knives, we have specialised in vacuum-brazed bimetallic knives. To make these knives, a titanium carbide cutting edge is brazed together with a high-strength stainless steel base body. The granulator screens we manufacture range from "small", electrically heated granulator screens for the production of compounds, to large oil- or steam-heated granulator screens for bulk plastics such as PE and PP. 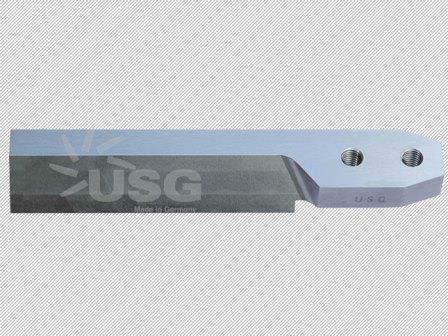 We manufacture and market pelletizer knives for pelletizers from various machine manufacturers. We design and manufacture pelletizing die plates. Knife holders in flexible or rigid design for under-water pelletizers. Replacement and spare parts as well as cutting rotors for pelletizing technology, pelletizing systems and strand pelletizers. We repair pelletizing die plates and offer regular grinding services up to complete overhaul, including newly plating the cutting surface.